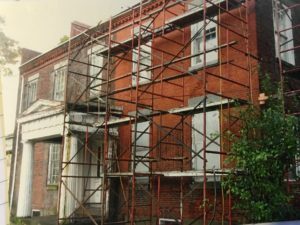 In Fall 2018, Gannon University students enrolled in Dr. Jennie Vaughn’s writing course wrote articles for Preservation Erie’s blog as a class assignment. We would like to thank Andrew for the following entry. From urban areas dominated by skyscrapers to rolling rural vistas, graveyards can be found across the American landscape. Graveyards tell us much about the past; specifically, they can tell us about the people who have built the society in which we live today. Some of these graveyards are picturesque, while others are littered with weeds and half-broken headstones. Nonetheless, each graveyard and each grave tells a story worth preserving. As grave markers age, our ability to decipher the history they tell – the life of one of our ancestors that lies beneath – also fades. Enter Gravestone Guardians of Ohio. Gravestone Guardians of Ohio, located in Shelby, Ohio and owned by Mark Morton, works with the latest techniques for cleaning and repairing tombstones. Their mission is to offer a wide range of services to suit the needs of families, cemeteries, and communities for the purpose of documenting and preserving gravestones. 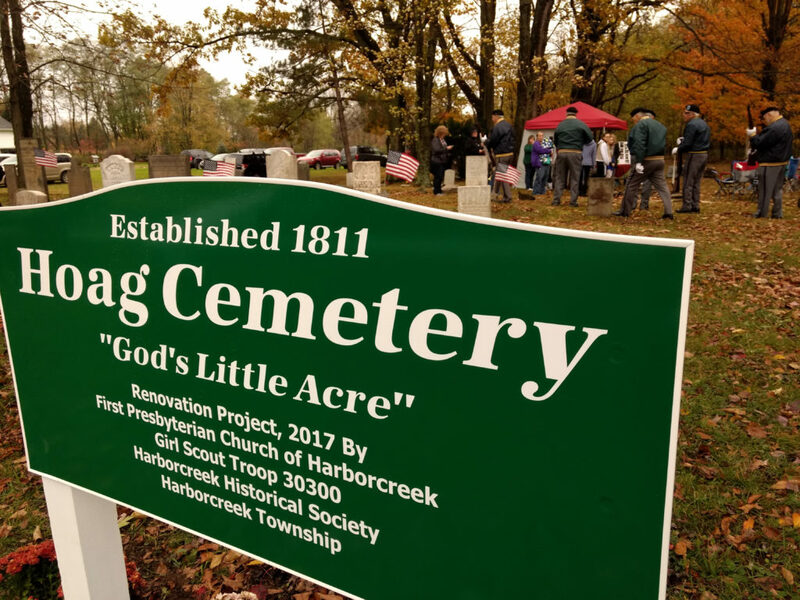 Apart from saving and restoring headstones as contract work, Gravestone Guardians of Ohio also offers presentations for historical societies, churches, and groups interested in learning graveyard preservation techniques. These presentations and workshops help to inform other organizations on the importance of graveyard preservation and how to safely clean and restore stones. Locally, several historical societies and churches have hosted successful workshops by Gravestone Guardians of Ohio. In June 2017, the Corry Area Historical Society hosted Gravestone Guardians for a two-day workshop that instructed a sellout crowd on how to properly clean, repair, and reset older gravestones. Due to the great success of the workshop in Corry, the Fort LeBoeuf Historical Society hosted a similar workshop that used the oldest section of the Waterford Cemetery for hands-on learning. The preservation community needs our support to preserve and expand the Pennsylvania Historic Preservation Tax Credit, established in 2012. This important preservation tool will sunset in June 2020 unless it is reauthorized. As you may already know, Senator David Argall is also circulating his co-sponsorship memo for the re-introduction of the bill in the new session in the Senate. Here is the link: https://www.legis.state.pa.us/cfdocs/Legis/CSM/showMemoPublic.cfm?chamber=S&SPick=20190&cosponId=27631 Thank you to those who have already reached out, these Senators have signed on to co-sponsor: Schwank, Martin, Farnese, Kearney, Killion, Costa, Ward, and Yudichak. Please contact your State House or Senate members immediately and ask them to become a co-sponsor of this bill. Your support is essential in this effort. Showing broad support of this bill will make it easier to get this moving toward passage. You can email them and follow up with a phone call if you have a personal relationship. Please feel free to craft your own emails to those who you want to share this with to ask for their support. It is most important for Representatives and Senators to hear from their own constituents. Please see Preservation Pennsylvania’s website for sample language for you to use. Senator Argall and Representative Freeman will be working together to get this done as soon as possible and they need YOUR support…the users of this tax credit, the potential users of this credit and those of you who work with the users of this credit. You can help us get this to the finish line. Please also check out the recently released report on the PA HTC by the Independent Fiscal Office here:http://www.ifo.state.pa.us/releases.cfm?id=245 It contains some great information and recommendations for the reauthorization and expansion of the credit. For the 6th Annual Greater Erie Awards on April 25th, Preservation Erie is bringing northwestern PA native Philip Langdon to town. Mr. Langdon is a freelance journalist and former senior editor of New Urban News. His articles have appeared in numerous publications including The Atlantic, Planning, Landscape Architecture, and other magazines. He is author of A Better Place to Live: Reshaping the American Suburb and Within Walking Distance: Creating Livable Communities for All, published in May, 2017 by Island Press. The Erie community is invited to participate in several related events throughout the week which will be a chance to engage with Mr. Langdon and others on walkability opportunities and challenges in the Erie area. On Tuesday, April 24th, Mr. Langdon will participate in a panel discussion on creating walkable neighborhoods in Erie’s East Side. Adam Trott of AJT Architect will moderate a 90-minute conversation with Mr. Langdon, Dr. Jay Breneman, Dave Brennan, Dr. Rhonda Matthews, Dr. Charles Mock, Dave Skellie and Dr. Jim Wertz about how to improve walkablity and create a more livable community for all residents. The discussion is scheduled for 8:00 – 9:30 p.m. at the John F. Kennedy Center, 2021 E 20th St, Erie. Event is free. On Thursday, April 26th, the community is invited to an informal happy hour at the Plymouth Tavern, 1109 State St, Erie, which will be an opportunity to “unpack” conversations and experiences that happened throughout the week. No registration is required. Preservation Erie will provide light appetizers only. Cash bar. On October 18th at 12:30pm, I sat in the Starbucks café with piping hot coffee on the table waiting for two special people to arrive. Leanne Becker and her husband Russ are two lively, wonderful people who share the same passion for preserving and restoring history. They understand the negative repercussions many communities face when important relics and their associated histories are lost. Consequently, they were inspired to do something about it. 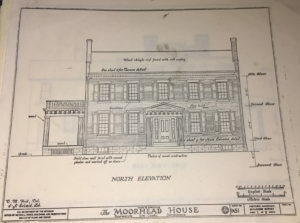 This lovely couple took interest in renovating the classic, Moorhead mansion, they purchased and started renovations March 17th 2014, and have been working ever since. The house was built in 1837 by Joseph Moorhead. It was originally a hotel called the Temperance Tavern. It was also the residence of the Moorhead family who created and ran Moorheadville. When Joseph passed in 1880, the house was sold to his great nephew Fredrick who undertook many renovations on the interior. The house was moved back about 50 feet and 40 feet west in 1907 due to a widening of the road. It took 2 summers to complete this process and was completed with only horses, mules and man-power; not one brick was cracked. The architecture of the house is Federal style, which means the rooms are divided off the center hall and everything is very symmetrical with nine feet high ceilings. The house holds 8 fireplaces, one in every room. It is surrounded by a vineyard and farm reservation which keeps the mansion secluded. The Beckers had a vision when starting the renovation process to keep as much originality of the house as possible. To do so, they learned everything they could about the house and its history. Leanne and Russ met when they were seventeen and have been married fourteen years. When they were in their teens, Russ was in a band and the two of them would drive to New York every so often for a gig. On the way, they would pass this mansion and admire its beauty. Years later, the house was put up for sale and was left in an overgrown and run-down state. It was so severe that one had to be careful where they stepped to avoid falling though the woodwork on the porches and on the roof. They had their own perfect house already; however, something called to Leanne as she walked through the broken-down house. She knew, ever since she had first seen it years ago, that this was the house for her. They were eager to buy the house. On their anniversary, they bought it, later moved in, and started work immediately. Since the house was in such a fragile position, the first step was to receive a bank loan so that they could start renovating as soon as possible. However, having a house in such a state of ill repair, made it very difficult to find a bank that would accept them. They also discovered that finding good contractors was problematic as well. Four contractors looked at the house to offer quotes for work and each one would either turn it down or raise the price to excessive levels. By grace they finally found Paul Tirbak, a man that always wanted to renovate this Moorhead house. Not only did he happily agree to the job, but came in at half the budget. He was the only person to be meticulous with his work and want to take measurements and dimensions of the house. This made Leanne confident they found the right guy for the task. Paul later suggested Marquette Banking for the financing. Leanne and Russ say the bank was wonderful to work with, were very quick to give them a statement, and were trustworthy. Unlike the other banks they talked to where they would not receive a statement for months then at the last minute have the bank pull out. They were the only ones that would help you in renovations. Leanne and Russ were confident in saying that Russ was key in this whole project. Paul took a year and a half renovating the mansion. The first thing that needed to be done was to secure the outside and make sure it was stable. Every brick and chimney was replaced. All the bricks came originally from the ground on the property. The ceiling on the inside was the next major concern. Due to 40 years of rain coming into the house because of poor upkeep, enormous holes were created in the ceiling. This did not stop the Beckers. They merely repaired it with plaster and dry wall to keep the original ceiling up. History is so important to the Beckers, that they also salvaged items out of the First National Bank building, including original bookcases, and parts of the railing in the judge’s chamber used as perimeter in the dining room. Their vision is very important to them, and they are doing everything they can to make it look like the original did in that time period as much as possible. From vintage wallpaper to a colossal, elegant kings dining room table and cast-iron sink, the Beckers are successfully making their dream a reality. As you pull up to the curb, the Moorhead mansion is very imposing with its extravagant white Greek pillars, and breathtaking architecture. It is the unique style of houses like these that make them so beautiful and steeped in history, that it would be a disservice to allow them crumble. It takes great people like Leanne and Russ to step up and protect the history and memories of our landmarks. Society learns from history, which makes it even more prudent to protect and learn from the landmarks and all that they entail. If you look deep enough within, you may find something you never expected that tells a story of days gone by. A local vacant storefront (416 State Street) was transformed into an exhibit about Erie’s newcomer communities. Preservation Erie is a local non-profit that strives to promote, preserve, and enhance the distinctive character of greater Erie through community-based planning, design, and historic preservation. They believe the built landscape of Erie and northwest Pennsylvania is a tangible expression of our richly layered social, cultural, and industrial history. Cultural preservation works in tandem with restoring and maintaining the natural and built environment. Collectively, they shape our collective regional identity and sense of place. They are partnering with the folk art program of the Erie Art Museum that has developed strong relationships with Erie’s resettled refugee community. Erie’s is now home to over 10,000 resettled refugees. Erie has always been a city of immigrants, from the original Scots-Irish, English, and African American settlers through the waves of German, Irish, Italian, and Eastern Europeans. Today’s immigrants have fled war and persecution, lost family, homes, and professions. They are grateful to begin again in a new country and language, working hard, starting businesses, and encouraging their children to succeed. They bring cultural and economic vitality to our community. The first two displays of this project showcase Iraqi and Bosnian objects, showing clothing, kitchen wares, and food, much of which can be purchased at Erie’s many refugee-owned markets. The display will run through March, and then a new exhibit that will showcase Erie’s African community will be installed, followed by a third exhibit about Erie’s Bhutanese and Syrian communities this spring. 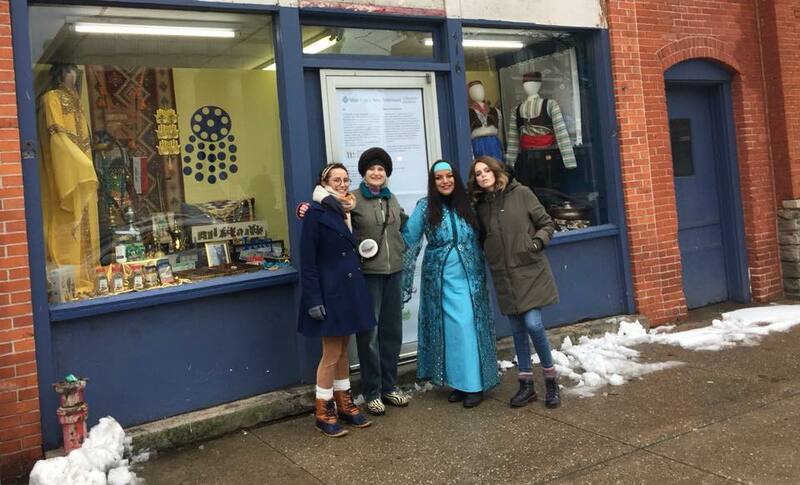 Iraqi designer Ghadeh Hussein, Bosnian artist Merjem Garic, project assistant and designer Cassandra Unger, and Kelly Armor finished the exhibit on Sunday, January 21, 2:00 – 3:00 p.m.
For more information contact Kelly Armor, folkart@erieartmuseum.org or on her mobile phone, 814-602-0619. The Erie County Department of Planning is seeking public comment on Erie County’s draft Cultural Heritage Plan, which will guide efforts to help preserve priority cultural and historic assets over the next five to seven years. The draft plan can be viewed online at https://www.eriecountypa.gov/cultural_heritage_plan. A public meeting will be held Thursday, June 8, 2017, at 6 p.m. in the Admiral Room at Blasco Library, 160 E. Front Street. The purpose of the meeting will be to solicit public feedback on the plan’s content and its proposed action plan for implementation. The meeting is free and open to the public, and will offer an opportunity to talk face-to-face with representatives from Erie County, Preservation Erie and consultants preparing the plan. Those interested in Erie County’s culture, history, historic preservation or community revitalization are encouraged to attend. The Cultural Heritage Plan, which is funded in part by the Pennsylvania Historical and Museum Commission and the Erie Community Foundation, is expected to have real and lasting impacts on every community within Erie County. Its content will help community leaders, residents and organizations set priorities, coordinate efforts, increase capacities and identify ways that preservation practices can be bolstered for economic growth, environmental sustainability, and an improved quality of life. The draft Cultural Heritage Plan, which builds on Preservation Erie’s 2014 project documenting 30,000 historic properties in Erie County, considered how cultural and historic assets can be used to improve the county’s economy and attract people to live, visit, work and invest in its communities. The plan sets forth goals and strategies focused on preserving, maintaining and enjoying these assets, which are a legacy of the county’s rich history. The draft plan further indicates that these benefits will be maximized in the communities where good choices are made about what to preserve, and how to preserve it. Once adopted, the Cultural Heritage Plan will become an element of Erie County’s Comprehensive Plan. For those unable to attend the public meeting, comments on the draft plan may be submitted in writing to John McGranor, planning program administrator, at jmcgranor@eriecountypa.gov. 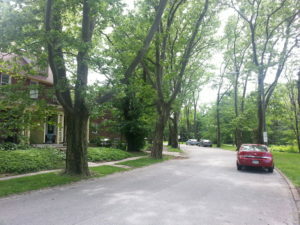 The Lawrence Park Historical Society, with funding provided by the Pennsylvania Historical and Museum Commission (PHMC) and Erie County Gaming Revenue Authority, have contracted with the historic preservation consulting firm Naylor Wellman, LLC for the creation of a National Register Historic District for Lawrence Park. The National Register of Historic Places is the official list of properties recognized by the federal government as worthy of preservation for local, state, or national significance in American history, architecture, archaeology, engineering, or culture. This Historic District will further the sense of place and give identity to the neighborhood while providing the opportunity for historic tax credit projects for income producing buildings located within the District. Historic preservation of these buildings helps to stabilize and increase property values, strengthen the local economy, and enhance the community’s attractions to prospective residents, businesses and tourists. This project does not include creation of a local historic district. Naylor Wellman will be photographing and documenting the exterior of houses, buildings and institutions located within the proposed Historic District; between Water Street and Smithson Avenue to the east and west, and E. Lake Road and Bell Street to the north and south. The District is representative of a corporate residential community project providing housing for employees of General Electric Company Erie Works. It represents two periods of development; the Townsite Plan and the Garden City plan designed by National Planner, John Nolen. The proposed boundary encompasses historic architectural resources spanning from 1911 to 1968 under the National Register 50-year guideline. Naylor Wellman, LLC is a women-owned business located in Northeast Ohio. The firm was established in 2013 and specializes in historic building preservation and adaptive-use, architectural history & historic preservation planning with experience spanning 40+ years with projects in OH, CT, IL, IN, MI, NY, PA, and WI. Principals, Wendy and Diana, are registered Preservation Consultants qualified under the Federal Historic Preservation Professional requirements, U.S. Secretary of the Interior’s Standards for Archeology and Historic Preservation (48 FR 44716). Erie County is seeking the public’s help in contributing to a countywide Cultural Heritage Plan. With the plan, which is a key recommendation of Emerge 2040, the county is taking an important step to better protect its cultural and historic assets. The Cultural Heritage Plan – a joint effort led by the Erie County Department of Planning and by Preservation Erie – will set forth goals, policies and strategies focused on preserving, maintaining and enjoying cultural and historic resources in every Erie County community. The Erie County Department of Planning is seeking public input related to Erie County’s culture, traditions and historic places, as well as the ways in which they are cared for and protected. Input gathered from an online survey and at public engagement meetings will inform the planning process and help the county and Preservation Erie make decisions about what should be protected and how. These meetings, which are free and open to the public, offer opportunities to talk face-to-face with representatives from Erie County and Preservation Erie, local civic leaders and consultants preparing the plan. Everyone interested in Erie County’s culture, history, historic preservation or community revitalization is encouraged to attend. The Cultural Heritage Plan has the potential to have a substantial impact on economic revitalization, environmental sustainability, quality-of-life enhancements and more in the county. The plan’s content will help community leaders, residents and organizations capitalize on these benefits and will assist civic leaders in including the protection and integration of cultural and historic resources into local planning and zoning efforts. Preservation Erie is excited to announce that Preservation Pennsylvania has awarded the organization an Initiative Award in Communication for the Erie County Historic Resource Inventory. 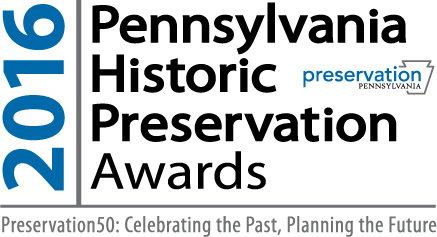 Preservation Pennsylvania’s annual awards recognize significant contributions in the field of historic preservation made by both individuals and organizations. Recognition encompasses the categories of preservation initiatives, construction and archaeology projects. The 2016 award presentation is scheduled for October 14th in York, PA. The county-wide inventory of historic resources was a significant project for our community. The inventory process and public presentations helped spark conversations throughout the county around neighborhood preservation and economic development, and the project was a springboard for initiating work on an Erie County Cultural Heritage Plan. The Erie County Historic Resource Inventory was funded in part by the Erie County Gaming Revenue Authority, The Erie Community Foundation, the Perry 200 Commission, and individuals. Between December 2013 and May 2015, the consulting firm of Wise Preservation Planning identified, documented and mapped all historic resources and historic districts that are individually listed on, determined to be eligible for, or appear to be eligible for, the National Register of Historic Places and assessed the condition of just under 32,000 properties. 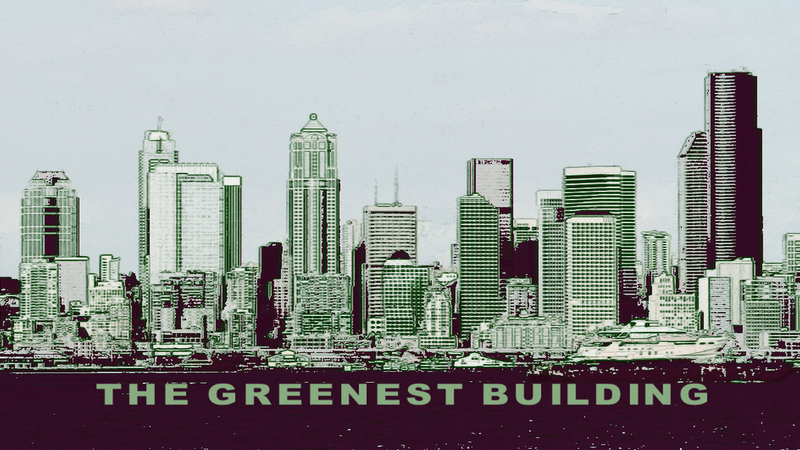 Join us for a viewing of the documentary The Greenest Building with an in-person introduction and discussion with Jane Turville, writer and director of the film. Over the next 20 years, Americans will demolish one-third of our existing building stock (more than 82 billion square feet) in order to replace seemingly inefficient buildings with energy efficient “green” buildings. The hour-long documentary The Greenest Building poses the question: Is demolition in the name of sustainability really the best use of natural, social, and economic resources? Or, like the urban renewal programs of the 1960s, is this well-intentioned planning with devastating environmental and cultural consequences? Ms. Turville received her Bachelor of Architecture degree from the University of Oregon and interned with the National Trust for Historic Preservation in London, England. She worked for several architectural firms in Portland, Oregon before leaving architecture to work in nonprofit development and program management. In addition to having more than 12 years of experience in historic preservation, architectural design, and construction administration, Jane has given presentations on Portland, Oregon’s Old Town historic district and organized sustainability conference workshops for teenagers and adults. Jane began making films in 2005. She is the director/producer/writer/editor of five short narrative films and the recipient of several screenwriting awards. Currently, she is in production on her next project – “The People Factor: Population and Human Well-being” –a six-hour series exploring the many facets and impacts of population growth. The series is slated for television broadcast in Fall 2016.